Business Licenses are required for businesses in the City Limits. Any person who conducts business in the City or is based in the City must obtain a business license on or before the date the business commences. 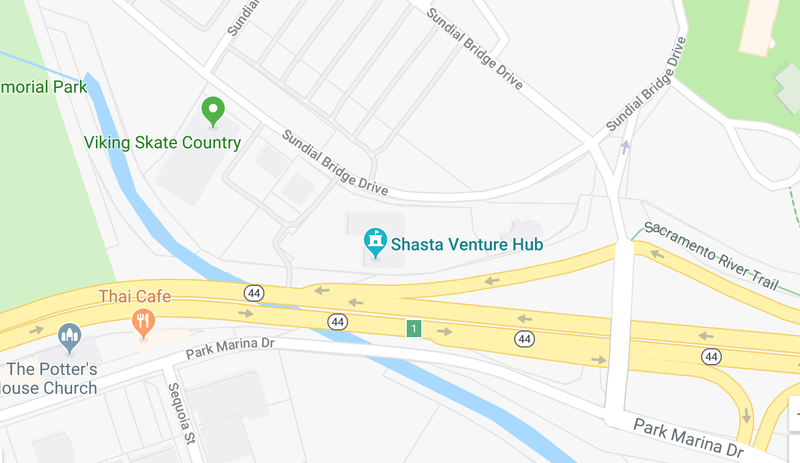 A Shasta County business license is not required for the unincorporated area of Shasta County, however, other requirements may apply. May be required if a facility discharges a hazardous material into the sewer. Example: zone change, variance, conditional use permit. Required for business located within both incorporated city limits and unincorporated areas of the county. Businesses using scales, fuel pumps, electronic or manual price lookup scanner devices, or other measuring devices must ensure proper calibration and pass inspections. Applies to: Food Manufacture. Situations for which a permit application must be submitted include, but are not limited to: construction or installation of new equipment that may cause air pollution; modification of existing permitted equipment; transfer of equipment from one location to another; installation of abatement equipment used to control emissions. Every individual or business engaged in the selling of tangible personal property must apply to the State Board of Equalization for a Seller’s Permit (Form BT-400). This permit will provide you with a registered resale number, which is required for conducting business. There is no fee for this permit, but you may be required to make a security deposit for future payments to the state, in which you do business. This is to ensure that you collect and remit to the state all sales taxes due to the state. The permit exempts you from paying sales tax on the merchandise you purchase for resale through your business, and authorizes you to collect sales tax from your customers. To maintain set standards of performance and to protect the safety of consumers, most states regulate entry in specific occupations or professions. These include the health services, cosmetology, accounting, and real estate. If your business is in any of these regulated fields, you must first meet the standards set forth by the state licensing board governing your occupation. Once you have demonstrated your competence, you will be issued a license, which is usually valid for a period of one or two years and is renewable. To find out if an occupational license is required for your business activity, check with California Department of Consumer Affairs. At the federal level, regulations pertaining to businesses focus on taxation, employer responsibilities, consumer protection, and the registration of trademarks, patents, and copyrights. A summary of federal tax aspects that you will be facing can be found in the Tax Guide for Small Businesses on the IRS website. Businesses with one or more employees are required to obtain a Federal ID Number from the Internal Revenue Service by filing form #SS-4. This enables the government to verify that you are paying all appropriate employer taxes and withholding the proper amounts from your employees’ checks. In compliance with the IRS regulations, you will be liable for federal withholding taxes, FUTA, and FICA. There is no fee. The federal government regulates business practices in a variety of areas to protect the rights of consumers. Businesses engaging in mail order sales or selling products in more than one state are subject to regulation by the Federal Trade Commission (FTC), the Interstate Commerce Commission, and/or the U.S. Postal Service. The FTC also oversees product packaging and labeling, product warranties, and advertising claims. The Food and Drug Administration (FDA) becomes involved if the product includes nutritional supplements, health care, or cosmetics. For financial services, you must contact the Securities and Exchange Commission.